The UFO cultural- and youth-centre in Bruneck is the biggest hub for independent culture, music and related activities in Südtirol's scenic Pustertal region. 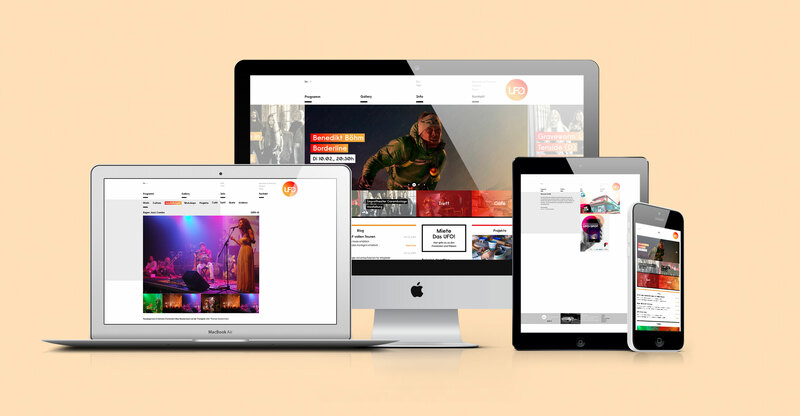 After almost a full decade of designing their printed matter, promoting special events for them and general support, we planned a complete overhaul of their website. The new site has a completely new face, a redefined concept to tie together all the diverse activities and events UFO has to offer and puts the focus on actually featuring those events in depth rather than just listing them in a simple calendar view. The corresponding printed bi-monthly programme reflects this concept graphically, tying on- and offline communication closer together.